There are only two unbeaten boxers on this list, and I don't think I'm giving anything away when I say that one of them is WBO champion Nathan Cleverly. 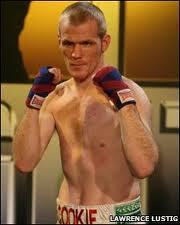 The other is twenty four year old Tom Doran, a light middleweight who has won ten on the bounce. Don't get too excited just yet, because Tom is still inexperienced and he hasn't taken any big fights, but given time to develop he could move up this list. Tom Doran is promoted by Hatton Promotions, who proudly declare him as the next Joe Calzaghe. This is a stretch considering Tom had to get up off the canvas in his last fight against Max Maxwell, and with 3 knock-outs in 10 fights he doesn't have the KO ratio of the Welsh legend. Tom doesn't have a fight lined up yet, but we'll let you know when he does. It's all gone wrong lately for Jamie Arthur. He's lost four in his last six, all them them in big fights. First there was the BBBofC title fight with Martin Lindsay, then a Prizefighter semi-final loss to Ricky Owen. His last two have seen him taste defeat against Scott Quigg and Jason Booth, two good fighters who have probably benched Jamie for the time being. The super bantamweight is a capable technician but he lacks dynamite power, and without this he will struggle to make more of an impact. A run like his is always hard to come back from in boxing. It's going to take Jamie a lot of determination and hard work. Everyone knows Jason Cook, he's a bit of a Welsh boxing legend. In his thirty-four fight career he's won the EBU and IBO lightweight titles, and in 2010 was fighting for the British titles. At 37 you can say he's past his peak, but Cook is still fighting on. Last year he gave a brave losing performance against spar partner to the stars Ashley Theopane, and followed that with a tune-up win over journeyman Laszlo Szekeres. Cook is in action next Friday 27th when he faces John Watson at the Echo Arena, Liverpool. Bradley 'Sugar Sweet' Pryce is a popular light middleweight and he's also a busy one. With forty-three fights to his name he is the most experienced fighter on this list, taking more fights than even Enzo Maccarinelli. Pryce's top level of competition so far has been Hatton Promotion's Sergey Rabchenko, who he fought to a loss in 2011. He's got a good fight coming up in May when touches gloves with Steve O'Meara at The Troxy, London. If you're around there with nothing to do, get yourself a ticket. You might think Enzo Maccarinelli deserves to be higher in this list, and certainly he is the most accomplished fighter to grace this page. But this is about active fighters, and did you see Enzo's last fight? Sure he beat Shane McPhilbin, but he went down twice. He was also granted a miracle of a decision in the first round when referee John Lewis ended it forty-seven seconds early. Had that not happened, McPhilbin would probably have finished Maccarinelli off. He might not be at his best, but Enzo has won his last three, and he looked good in the first two victories. Some people are saying he should call it a day, but let's wait and see how he handles his rematch with McPhilbin, which is scheduled for June 22nd. I agonised about putting Kerry Hope this high up, but he did just beat Gzegorz Proksa to win the EBU middleweight title. This should make him one of the top Welsh boxers in anyone's books. Kerry was as big of an underdog as they come when he fought Proksa, who at the time was unbeaten in 26 fights, and the southpaw pulled off a shocker. Good thing too, because a week earlier he missed the birth of his baby daughter to prepare for his opportunity. Whether Kerry will ever compete at a world level is another story. He seems a long way from tussling with the likes of Sergio Martinez and Julio Cesar Chavez Jr, but he's surprised us once, and I'd be a fool to say he can't do it again. 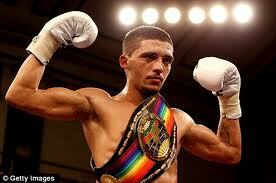 A criticism of Lee Selby has always been that he doesn't have much power. Well, in his last three fights he's gotten TKO victories, adding three knock-outs to his win record. The featherweight is stepping up his level of competition with each fight and a lot of people see potential in him and if he reaches his best, he could compete at a world level. Putting him this high up in the list is a statement of how highly I rate him – I think he's one of the best domestic featherweights plying the boxing trade today. Selby's next fight is in May, but we have no idea who against. Gary Buckland is riding a high at the minute with two wins over tough opposition (Paul Truscott and Gary Sykes) as well as picking up the BBBofC Super Featherweight title. He's another fighter who has enjoyed a burst of good fortune after a success in Eddie Hearn's Prize Fighter tournament, winning the super featherweight version last year by knocking out Derry Matthews. If we're being honest, the top two positions of a best Welsh boxer list were already filled out. Gavin Rees and Nathan Cleverly take their seats at the front of the class, and I doubt it's any surprise the order I have put them in, either. Rees, who has lost once, has clocked up 36 wins and lately he has been taking big jumps forward. It started last year when he plucked Andy Murray's unbeaten record away from him and took possession of the EBU European title. Rees wants a world title shot in the near future, but first he will have to prove himself against domestic lightweights such as Ricky Burns and Kevin Mitchell. There is a lot of competition in his weight class and Rees is going to have to work hard to be given a big fight. 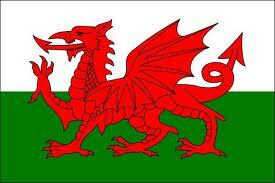 You knew it was coming, Nathan Cleverly was always going to be number one in a top Welsh boxers list. He's been one of the best domestic boxers for the last few years, and the Frank Warren-promoted fighter is also the only current world champion on the list. Cleverly picked up his belt in 2010 against Nadjib Mohammedi and has made a smattering of defences since, the most notable being a bitter battle with Tony Bellew. Cleverly impresses every time he gets in the ring. The only complaint you can have with him is that he hasn't proven himself against the elite of his division, world class fighters such as Bernard Hopkins, Jean Pascal, Chad Dawson and Tavoris Cloud. A Cleverly-Hopkins fight has been talked about for a while now, so hopefully we'll see the welsh champ take a top fight sometime soon.